In November 2017 the American Heart Association and the American College of Cardiology changed the definition for high blood pressure. One day your blood pressure of 130/80 was normal — the next day you had stage 1 hypertension, and suddenly you found yourself in a higher risk category formerly reserved for people with blood pressure of 140/90. While you probably don’t feel like celebrating the change, it may actually be a good thing. “These guidelines have been long anticipated and are very welcome by most high blood pressure experts,” says Dr. Naomi Fisher, associate professor of medicine at Harvard Medical School. “They may seem drastic, but in putting the knowledge we’ve gained from large trials into clinical practice, they will help thousands of people,” says Dr. Fisher. The good news is that it doesn’t take a major life overhaul to improve your blood pressure. Small steps add up to big changes. Here are six simple steps that can help you get, and keep, your blood pressure in a healthy range. 1. Lose a few pounds. By far the most effective means of reducing elevated blood pressure is to lose weight, says Fisher. And it doesn’t require major weight loss to make a difference. 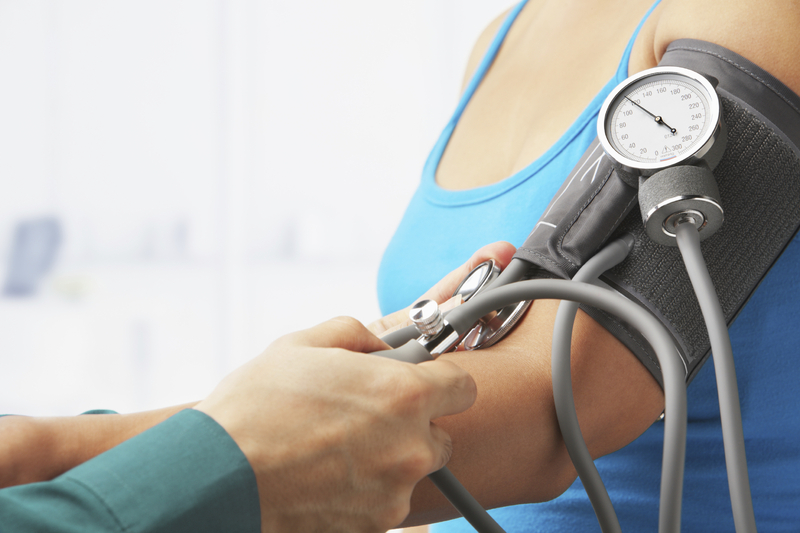 Even losing as little as 10 pounds can lower your blood pressure. 4. Pump some iron. Add some weight lifting to your exercise regimen to help lose weight and stay fit. 5. Limit alcohol to one drink per day. Drinking too much, too often, can increase your blood pressure, so practice moderation. 6. Relieve stress with daily meditation or deep breathing sessions. Stress hormones can not only constrict your blood vessels and lead to temporary spikes in blood pressure, but over time can also trigger unhealthy habits that put your cardiovascular health at risk. These might include overeating, poor sleep, and misusing drugs and alcohol. For all these reasons, controlling stress should be a top priority. Completely bogus. Biased vegan propaganda that is not supported by real science. 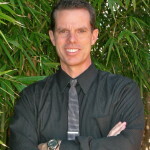 I have been reading Dr. MacDougall’s info on the web and on YouTube. He says. We are not meant to eat meat of any kind, dairy products of any kind, fats and oils are no no’s and lower your sodium intake. Drink lots of water, eat home cooked meals as much as possible so you know what is in your food. I have had high bp for years and take 2bp meds, I have had strokes and lots of TIA’s I am starting his diet and increasing activity. I am hoping to heal and live the rest of my life in a healthy state. My family had strokes,heart disease and cancer. I have outlived most of my family. Most died at62 I am now 66. So I have some hope if I make these changes I will live until I am 80 or more. Consider researching Dr.
Carrie, have your kidney arteries checked soon. I had same symptoms, after stents to open flow, blood pressure now normal. Remember, kidneys control BP. Carrie, get a sleep study. You may not be sleeping well. Seriously. Also check your blood, maybe there is some serious deficiency or high level or cholesterol. You must have massive atherosclerosis. You need a CT-Coronary Calcium Score assessed right away. Chelation therapy or something is needed to clear your arteries and make them more flexible. Look into ALT-711. Can you please tell me the name or formula of her medicine I want to compare with my mother’s medicine.She is constantly having high b.p and doctors are unable to understand. Sometime you can’t fight genetics, BUT you say you eat very little; perhaps you are eating the wrong foods and should eat more of them? Have your doctor give you a referral to a NUTRITIONIST (not a dietician, although it’s okay if your nutritionist is also a dietician). Maybe you’d even benefit by a LITTLE alcohol. Perhaps you should take up yoga or meditation. But even more important, with your familiy history, get a head scan– you might have an aneurysm lurking. Nowadays they can find these things before they blow– and might be able to repair them. Ask your doctor how frequently you should get scanned. Well, stress and food are the key factors for so many of our modern-day ailments. Breathing exercises (YOGA) are really very beneficial especially for controlling BP, should be done in proper way. Crucially, being happy & smiling contributes immensely to our good health. 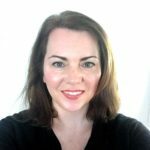 I am 42..5’1 and 101 pounds. My blood pressure with 3 medicines runs 158/129 daily sometimes it’s 165/140…. I have headaches all the time among other issues. I do walk and play with my son who’s 8 and my 3 grandkids. I eat very little and drink plenty of water and zero alcohol. My grandmother died of a massive stroke at 56 with high blood pressure her daughter my mom died at 54 of a massive stroke due to high blood pressure. Do I have 10 years left? This is the best doctors can do for me? Carrie, my mother and grandma also died of stroke due to bp. I’m in my late 50s and I almost did as well. Last year I decided I was going to live without high bp so I completely changed my diet to total alkaline (Google this), nothing processed, all whole foods and no dairy. Other crucial things are beet powder (it’s a natural blood vessel diolator), drink more water, even if you think you’re drinking plenty, drink more, eliminate everything that causes you stress, including people, and finally, and perhaps most important, ask God to help you. My bp is now normal for the first time in my adult life and I have never felt better in my whole life. Perfect health is attainable only when we address all 3 aspects: Body, Mind, and Spirit. God Bless you. You are so right.You must change your lifestyle if you wish to change your High blood pressure. My kids give me a hard time because I eat so many beets.I am a former smoker and heavy drinker and now I do not have high blood pressure. Your primary care doctor need to aggressively change different antihypertension meds and should have ACE inhibitors and alpha blockers to decrease your diastolic blood pressure!! You need it now!! barbara-will be 84 in July-use no pills-do stretch! Calcium helps. Eatting plenty of green leafy vegetables helps. Moving your body helps. Your body is full of blood which needs to flow.. Like a stream, it can clog. Relax. Stay away from negative people. Laugh for those who do laugh lasts. Get off to yourself, especially at times. It is nice to be by yourself where you do not feel judged. Meat? We have jawls,not like a wolf. We are much more like cows on vegetable matter. Do pray. There is a creator doing the same job! Cows are ruminants, they chew cud. Quite a different digestive system then humans have. We can’t digest the cellulose in hay, grasses, they can. What 3 medicines? Time to find another doctor to get those numbers under better control. Get your doctor to check your blood labs for kidney disease which could be causing your blood pressure to be high. Try Epsom salt baths. My BP goes low when I take tub bath. Yoga is a great way to reduce BP and it is proved right for me. Eat no sodium in your food. Oh, Carrie! You’re obviously on the wrong medications!! With your constant headaches, you’re a stroke just waiting to happen! I take Lisinopril once per day, and it has worked great to bring my numbers down into normal range. Please, please, please see a doctor (or go to an ER) as soon as possible!